This project can be done as a review at the end of the unit or at the end of the year. It is a fun way to have input from ALL students and get them all engaged in an academic and fun way! 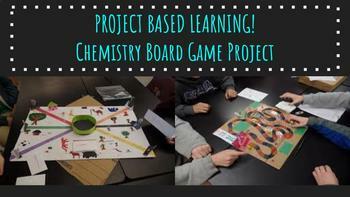 Also, once all the games are complete you have a myriad of chemistry games made by students that can be used in the future! It's a win-win assignment. Included is a directions sheet for the students and a teacher guide. Enjoy!